By the end of the 1970's, adventure games had started to become more than just text, and were displaying static graphics. 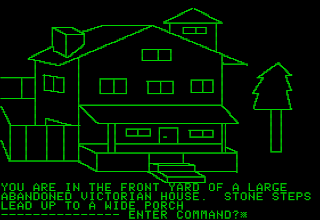 The first game to do this was Mystery House, developed by the husband and wife team of Roberta and Ken Williams. Roberta designed the game and drew the simple line graphics required by the program at the time and Ken programmed it and converted the images. The two founded On-line Systems in 1979 and shipped the game out of their house, originally in a simple bag with a floppy disk containing the game and a sheet of paper describing it. The game was a success, eventually selling 10,000 copies, which was a bonafide hit in the early days of the home computer market. 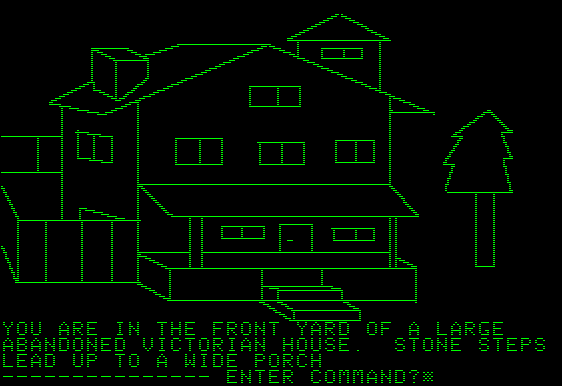 This led to the formation of the Hi-Res Adventure line, which would continue the concept of Mystery House, with gradually improving graphics, until 1983. The Williams' On-line Systems would become Sierra On-line and later Sierra Entertainment, becoming one of the leading developers and publishers of computer games until the studio was closed by then-owners Vivendi Universal in 1999. As I had eluded to in the first part of this article, this style of game was also adapted by other adventure game developers. Adventure International began the Scott Adams Graphic Adventures line in 1982, re-releasing the original adventures with graphics. The games published by the studio would continue to be released in both formats, with the text only games released in the Scott Adams Classic Adventures line, until the studio closed in 1985. All of the Scott Adams Classic Adventures can now be freely downloaded from the Scott Adams Grand Adventures website. 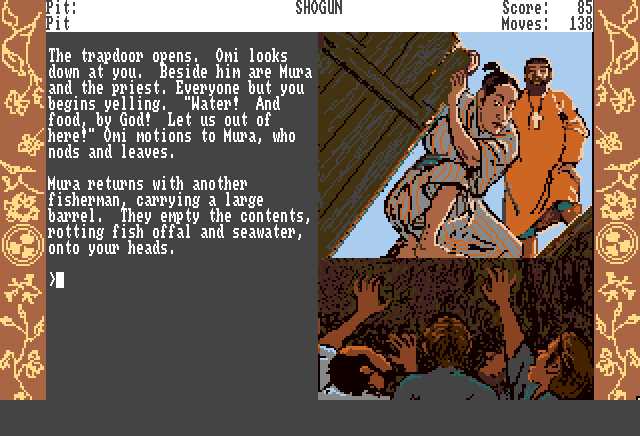 This style of game would also be adapted by the other driving force in text adventures, Infocom. They had first started dabbling in graphics in 1987, with the release of Beyond Zork, which was comprised of text, displayed inside a border, and a simple onscreen map displayed unobtrusively in the upper right hand corner of the screen. The company would go the full route of static images in 1988, and would continue releasing games in this style until the studio was closed by Activision in 1989. This style of adventure game would go out of favor by the end of the 1980's, as games without a parser had begun to gain dominance and adventures had begun to shift towards third person graphic adventure games where the game's protagonist could be controlled by the player. 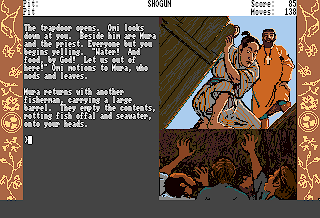 However, as with text adventures, this style of game hasn't been completely abandoned. 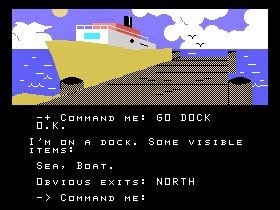 There are a still a handful of developers still releasing text adventures with static graphics, both for free and commercially.